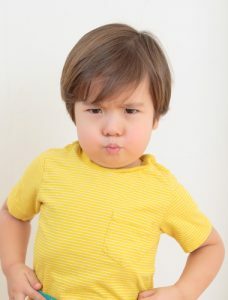 Parents of young children are often shocked when their child grows from smiling infant and wobbly toddler into a full-fledged kid with opinions, a mind of their own, and tactics for getting their own way! Below are a few tips for navigating the terrible twos and the threenager years. Before their second birthday, many two-year-olds were still gaining confidence with activities like walking, climbing, running, and jumping. But now they’re steady on their feet and expert explorers. They’re getting into everything and touching what they shouldn’t, so this is the age when you’ll need to begin to set boundaries and learn to say “no”. Two-year-olds are just beginning to learn to put phrases and short sentences together, and they don’t yet have the language required to fully express their feelings. When they become frustrated and unable to communicate, that’s when tantrums and crying jags are likely to occur. To top it off, all of this is new to you. You’ve been handling the demanding, but relatively straightforward, needs of an infant or young toddler up until this point. Now you’re navigating boundaries and limits, and trying to figure out strategies for handling tantrums. This is a stressful time when you begin to suss out your own parenting technique. Rely on praise. When your two-year-old does something helpful or handles a difficult emotion well, lay on the praise. When you tell your two-year-old to stop, and she listens, reward that behavior with positive reinforcement. 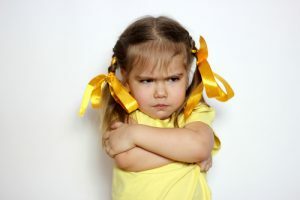 During a tantrum, kids are not usually receptive to reason, cajoling, or bargaining. You may want to save your energy and let tantrums play out, saving your wise, soothing words for your child once their tantrum is over and they regain the ability to listen and process! Defiance really rears its ugly head at this age. Remember that defiance is simply your three–year-old’s way of staking her claim in this world. Three-year-olds want autonomy and independence, and that can often result in disobedient behavior. His reasoning and communications skills have improved at this age, which is a wonderful thing, but can also make for some epic battles. Your kid knows how to argue, negotiate, and talk back. Speaking of talking back, with that increase in vocabulary can come some very rude and sometimes hurtful language. Some of it is picked up from television or from other kids, and can sting when you’re on the receiving end. Your child may engage in provocative behavior that isn’t really hurting anyone. If he’s taking all of the socks out of his drawer or smashing his peas instead of eating them, leave him be. Ignoring negative behavior, when it is not harmful, can sometimes extinguish it. Don’t let boundaries slide. You set limits and stuck to them when your child was two, but now that he is three, remember to hold firm, despite his bargaining and negotiations! 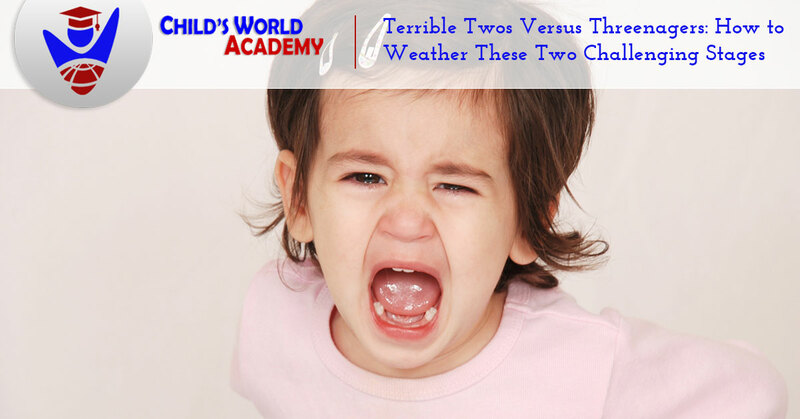 As Monroe’s Top Rated® Local child care, Child’s World Academy is all too familiar with the “terrible twos” and the “threenager” stage in children’s lives. In fact, our child care and preschool curriculum are structured around these challenging phases to help your child learn and grow! What are some of the changes you’ve noticed as your child has hit these two challenging birthdays? Let us know in the comments section!